I am excited to have Dan join our team. 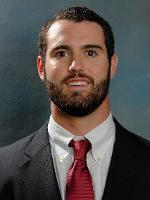 Dan comes to us via University of Tampa and St. Johns University, and is a product of Jupiter High School. Dan first picked up a stick in eighth grade. Through amazing mentorship and coaching Dan was able to maximize his drive to become one of the top mid-fielders in the state, receiving first team All-American honors twice and taking his team to the final four. Dan started his coaching career in high school and has continued for over eight years. He has coached many teams, from the national travel level to local youth and travel programs. He has coached around the country from New York to California, and everywhere in between. Dan believes that developing a passion for the sport is the first step to success. His close circle of friends includes some of the top lacrosse talent in the country. Dan is committed to bringing in excellent staff and guest coaches. Dan has a background in finance and accounting, and is also the founder and co-owner of Signature Lacrosse–a lacrosse equipment company based in Tampa, Florida. I am blessed to have been introduced to Lacrosse by a good child hood friend of mine's father, Ed Kiesa. Growing up I played through the Jamesville-Dewitt Youth Athletic Association (JDYAA) in Syracuse, NY about 5 miles from the Indian reservation where the game of Lacrosse was born, and later played at an upstate dynasty in Jamesville-Dewitt High School racking up 257 points with 195 goals and 62 assists. Recorded a 59-5 record in 3 seasons including a perfect 22-0 senior season in 2010 winning the state title and being ranked #3 in all of High School Lacrosse (Inside Lacrosse) and was named All-CNY player of the year and 2x First Team All-CNY. Completed a Post-Graduate year at Trinity-Pawling and was ranked the #2 Post Graduate in the Country according to Inside Lacrosse. Went on to complete 2 and a half years at Syracuse University and St. Johns University. Compiled 119 points at St. Johns good for 6th on St. Johns all time points scoring list. 2x First Team All Big East, 9th in NCAA D-1 points per game (4.57 ppg) in 2015 and 13th (4.1 ppg) in 2016. Drafted to the Rochester Rattlers in the 2016 Major League Lacrosse Collegiate Draft. Greg is a product of Deerfield Academy where he won a league championship and went undefeated in his senior season. He went on to play college lacrosse for the University of Tampa Spartans. His career as a Spartan was limited by a leg injury, but during his time there, UT achieved 2 NCAA Tournaments Invitations and won 2 Sunshine State Conference Championships. 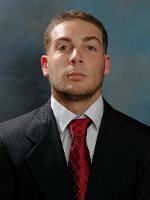 Nick began playing lacrosse in 5th grade with his local youth program, the Boca Jets. Nick attended Boca Raton High School where he led the Bobcats to their first winning season in 2011. He graduated with a career record of 53-12 as the staring goalie before earning a scholarship to play Division I lacrosse at the University of Delaware. Nick later transferred to the University of Tampa where he won a Sunshine State Conference Championship in 2015. 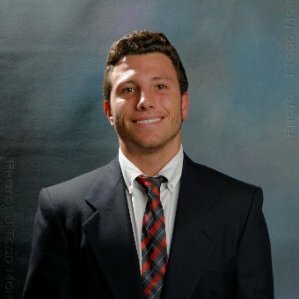 Nick has been the Assistant Director of the Nike Lacrosse Camp in Vero Beach since 2012 and has also worked with Florida Elite Lacrosse Camps and Gamebreaker Lacrosse. Since 2013, Nick has worked with multiple high school programs throughout the state to help them improve their goaltending and defensive strategies. Taylor’s love for lacrosse started when she picked up her first stick at 6 years old, and her passion for growing the game has not stopped since. Taylor and her father "Coach Bruce" started the first middle school team and the first high school team at Topsail High School in the Wilmington, NC area. There she received All-State honors and Academic All-American honors, while remaining the top scorer in the state for two years. She played for the Carolina Fever, the first travel club team in the state, coached and directed by the UNC Chapel Hill head coach Jenny Levy. Taylor’s love for the game earned her a spot on the team at Old Dominion University for two years until transferring to Davidson College to continue playing Division 1, and finish her undergraduate studies with graduating with a Bachelor's of Arts in English Literature. She received her Master's of Arts Degree in English from Wake Forest University, where she played club for two years, enjoying it immensely. Taylor has over 12 years of coaching experience and has helped build and sustain youth and programs and high school programs across the country. She is the owner and director of Soul Lacrosse, a travel club team that is growing at the national level thanks to the support and overall dedication of the Tampa Lacrosse Community. She surrounds herself with lacrosse on a daily basis, and is committed to growing the game in each area she’s lived in, while being an advocate of instilling good character in each player she coaches. She currently lives in and loves Tampa, where she plans to live out her days changing the lacrosse world here with her two pups, Matix and Soliel. Madi started playing lacrosse at 12 years old after moving to Tampa from Greenville, South Carolina. Lacrosse, something never thought about in South Carolina, quickly became her livelihood. She came up through the South Tampa Sticks youth program and continued her career at Plant High School. At Plant, she won Gulf Coast Club Championships in 2010 and 2011, earned a spot on the South All-Conference team in 2011, and watched lacrosse become a varsity sport in Hillsborough County by her senior year. Playing on the first varsity lacrosse team at Plant was the game changing moment that made her realize her passion for growing the game. She plays Division II lacrosse at Converse College in Spartanburg, South Carolina, but is taking a semester off to develop her coaching and administrative skills. She has coached for over 7 years for South Tampa Sticks, Greenville High School, Greenlight Lacrosse Club, LB3 Lacrosse and now Soul Lacrosse, and plans to continue coaching while pursuing a degree in Secondary Education.